In our posts, we often talk about how good window replacement companies should never offer you a quote only to ask for more money once the project commences. Practices like that are a sign of shady businesses. A good project consultant should be able to quote the project accurately before the contract is signed. There is, however, one exception where it is almost impossible to quote properly at the time of the window consultation. As you may have guessed by the title, we’re talking about bay windows. One of the main reasons bay projects are often more complicated than standard window replacements is because there is more work involved with the structure that surrounds the actual window units. In a lot of older homes, the bay is an extra addition to the house, and in many cases has not been built with the same quality as the home. This often leads to moisture penetration and extensive rotting of not only the studs, but the wall structure, and even the lower and upper bay benches. Unfortunately, it is often impossible to tell the extent of the rotting without tearing up the bay, or taking old windows out. 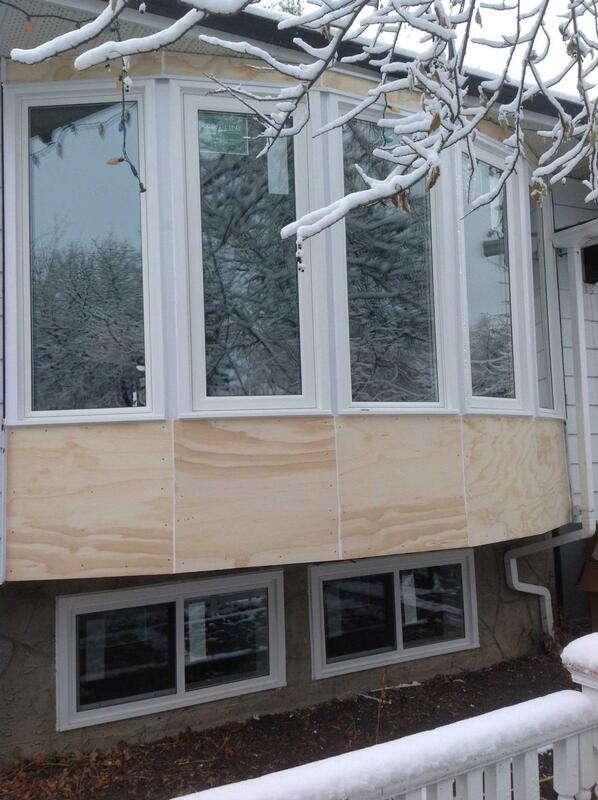 Even if the windows aren’t functioning well, the bay structure may still look new and sturdy on the outside. But there is no telling just what kind of problems are hiding inside the wall. This is why good project consultants will mention that there may be additional costs associated with the bay work. It is often possible to see some signs of rotting, but difficult to tell the extent without looking into the wall. But as with everything, there is a right and wrong way to going about this. Whether your consultant mentions it to you at your original appointment or not, be sure to ask for an additional written quote if there is structural rotting discovered in your bay at the day of the installation. Some window installers will be able to do that work on the same day, but be sure that you confirm the monetary arrangement with the company’s office, and the additional amount is agreed on mutually before any work commences. A project consultant should also visit the site to properly quote the additional work and sign any paperwork required from you. 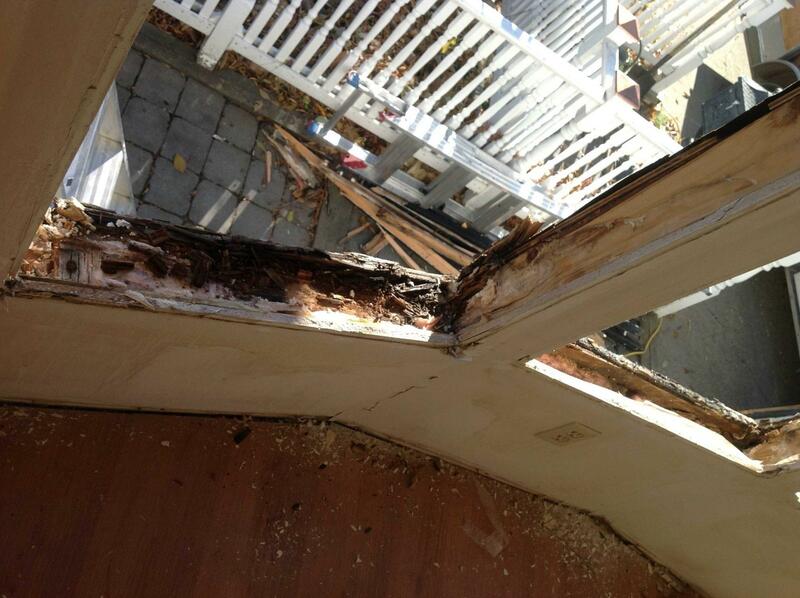 Replacing the rotten wood in the structure of the bay window can add up to 1000$ extra to your window project. While most window companies are able to do the work, if the extent of rotting damage is too great, you may have to look into hiring professional framers to do the job properly and ensure no bad wood is left in the frame. While this may be a temporary setback, doing the repair properly will ultimately ensure your windows don’t need to be touched again for many years. If you are considering a bay window replacement, remember that there may be additional costs associated with potential damages in the structure. This depends greatly on how well the bay was built originally, the quality of the previous window installation, and how old the home is. The same window with a restructured wall and new units inserted. As with regular window replacements make sure that everything discussed with the project consultant is put on paper before you sign. Any additional work should be accompanied by a written quote that states exactly what is to be done, with the additional amount specified before you sign. Bay Windows: Beware The Hidden Costs Overall rating: 4.9 out of 5 based on 41 reviews.